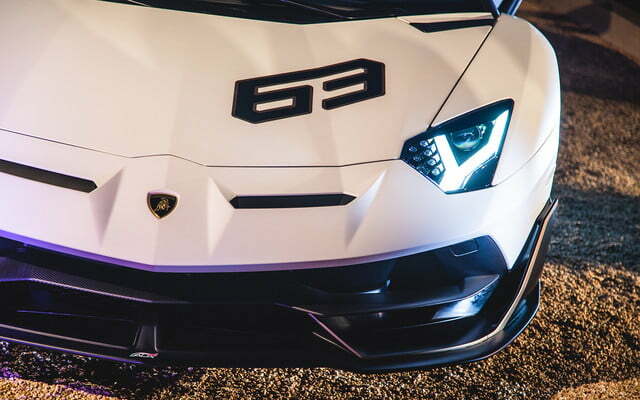 It wasn’t easy, but Lamborghini found a way to take its range-topping Aventador S to the next level. 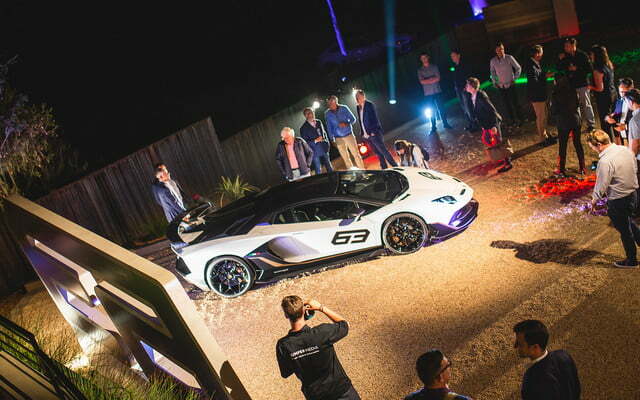 The limited-edition Aventador SVJ introduced during the 2018 Pebble Beach Concours d’Elegance boasts more power, promises to deliver a more rewarding driving experience, and receives a more muscular design. 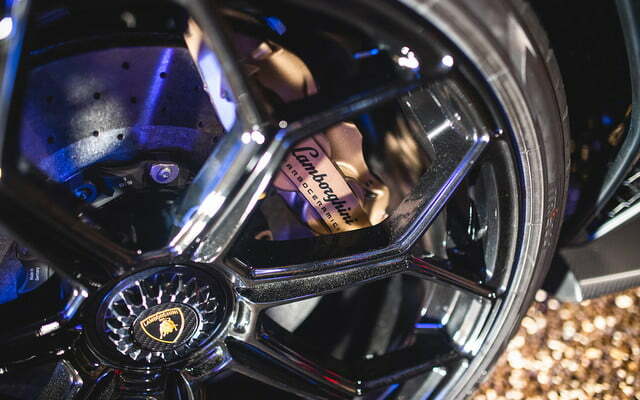 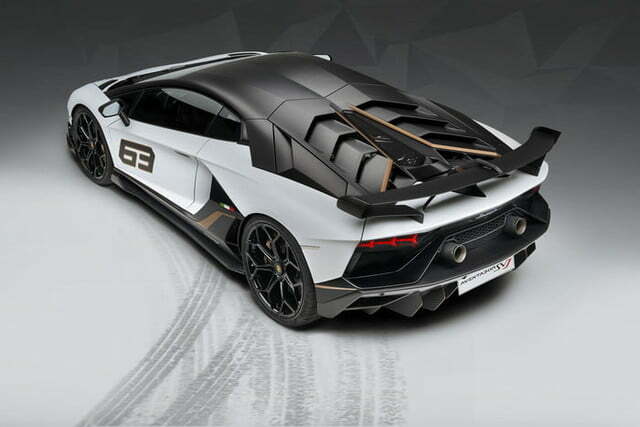 The Aventador SVJ benefits from an evolution of the Aerodinamica Lamborghini Attiva (ALA) technology inaugurated in 2017 by the Huracán Performante. 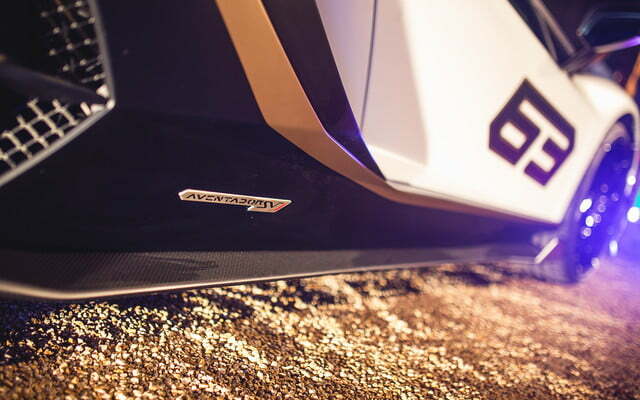 The system consists of a series of power-operated flaps cleverly hidden in the bodywork. 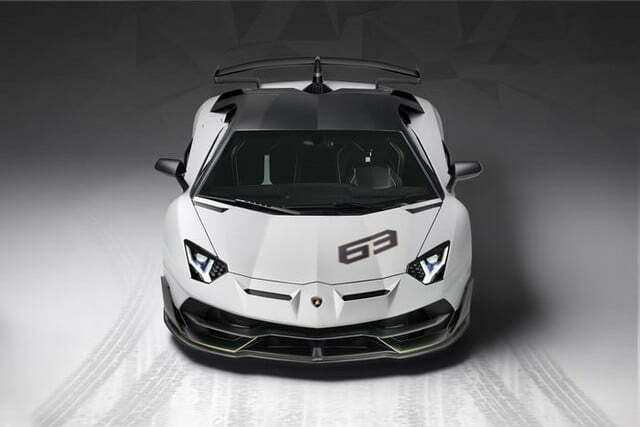 They close to create the downforce needed to keep the car glued to the asphalt during turns; they open to reduce drag and unlock a higher top speed on long straights. 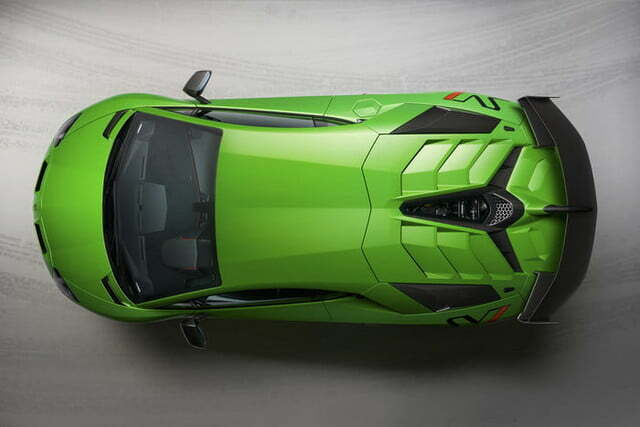 The flaps open and close automatically in a fraction of a second. 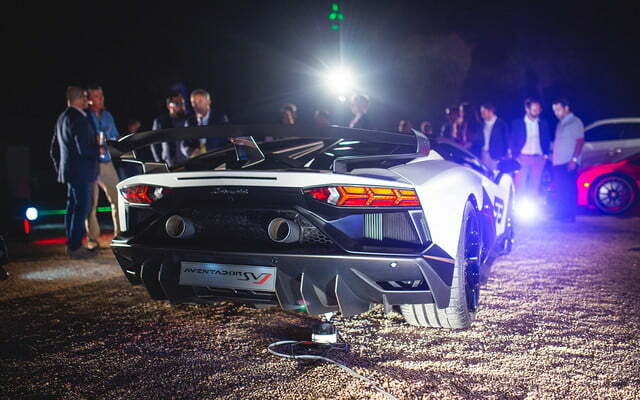 “The challenge to Lamborghini designers and engineers was to improve the purest essence of the Lamborghini super sports car, drawing on every inspiration from a space ship to a jet fighter. 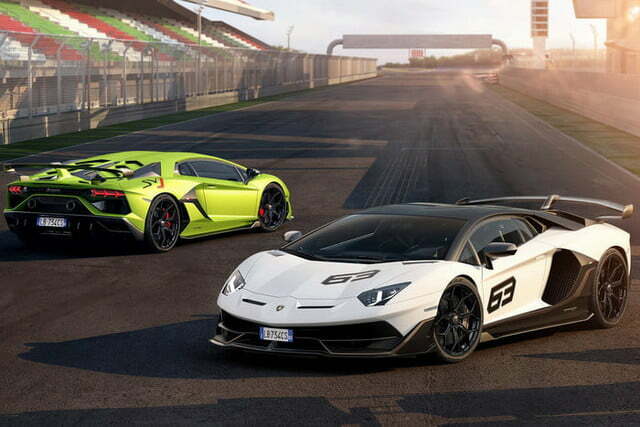 All the most exceptional examples of super-fast, super-athletic, aerodynamic superiority,” explained Lamborghini boss Stefano Domenicali. 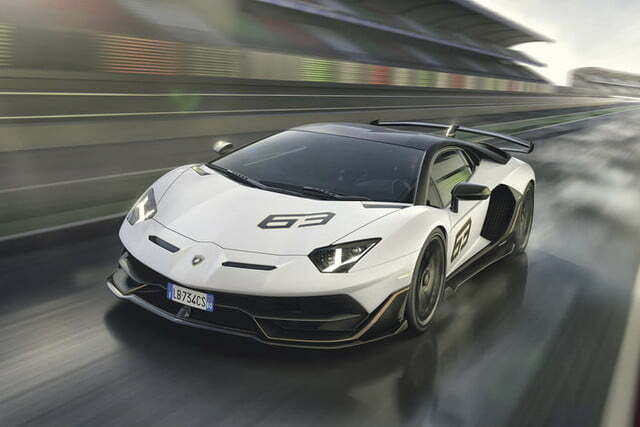 The focus placed on building a more aerodynamic Aventador hasn’t stopped Lamborghini from making mechanical upgrades — far from it. 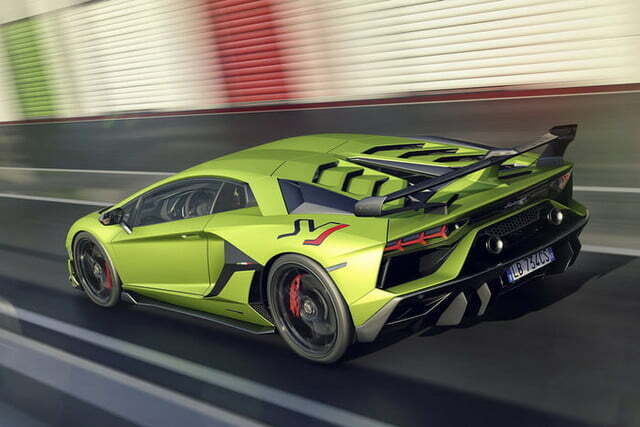 The naturally aspirated, 6.5-liter V12 engine now delivers 770 horsepower at 8,500 rpm and 531 pound-feet of torque at 6,750 rpm. 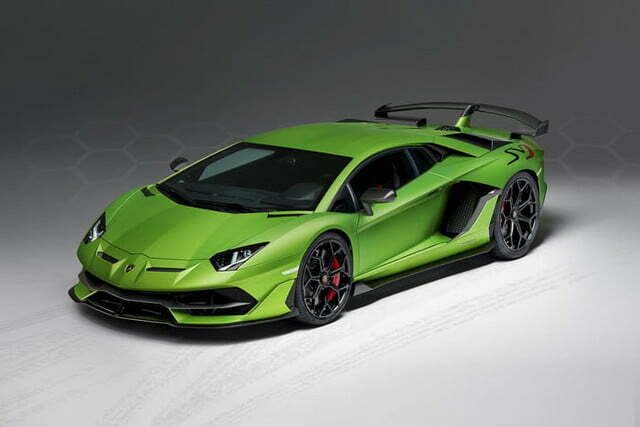 It sends its monumental output to the four wheels through a seven-speed automatic transmission that has been tuned specifically for use in the SVJ. 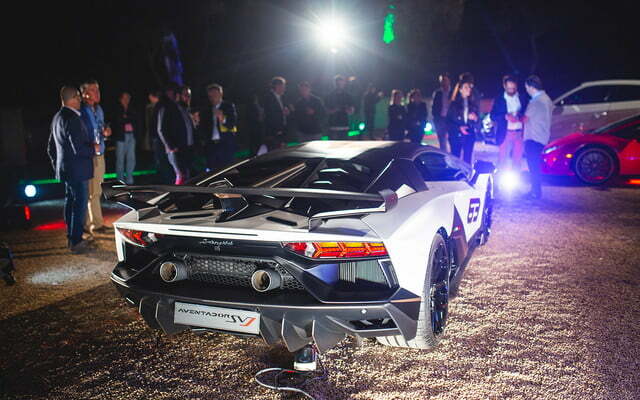 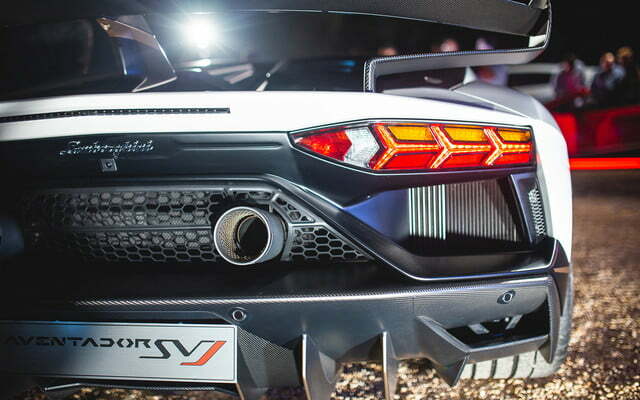 Lamborghini notes it calibrated the four-wheel drive system to send more torque to the rear axle. 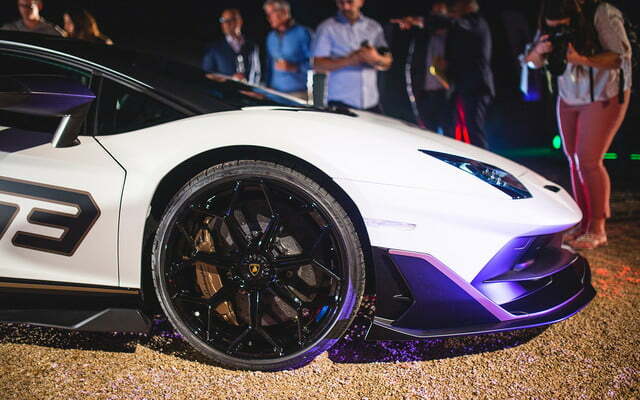 Engineers also made modifications to the suspension and the four-wheel steering system. 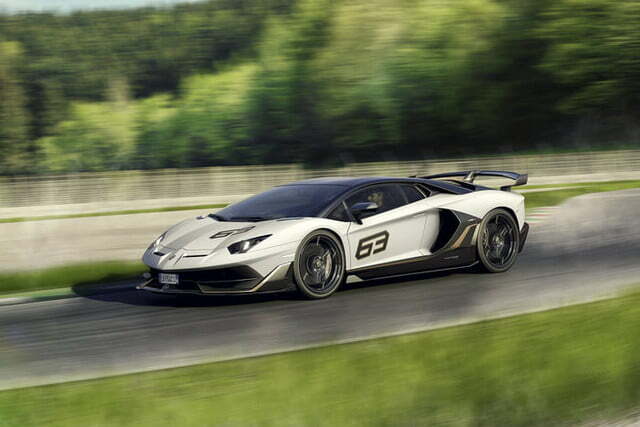 On paper, the updates amount to a 2.8-second sprint from 0 to 62 mph and a top speed of 217 mph. 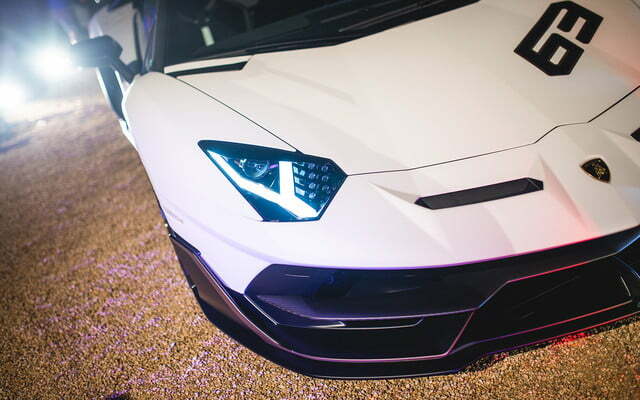 Numbers rarely tell the whole story, though. 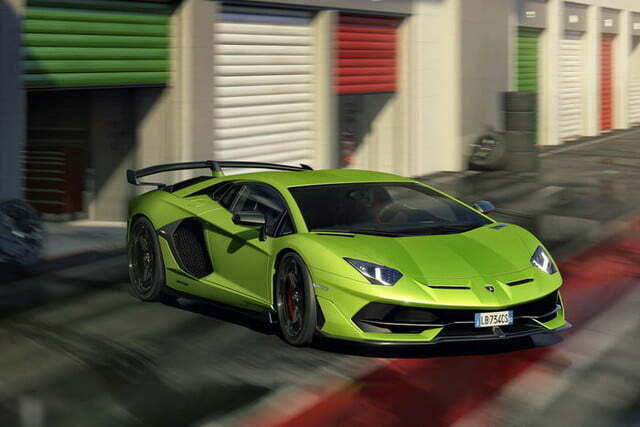 In application, the updates create Lamborghini’s most driver-oriented V12-powered model to date, one that places an equal emphasis on behind-the-wheel engagement and all-out performance. 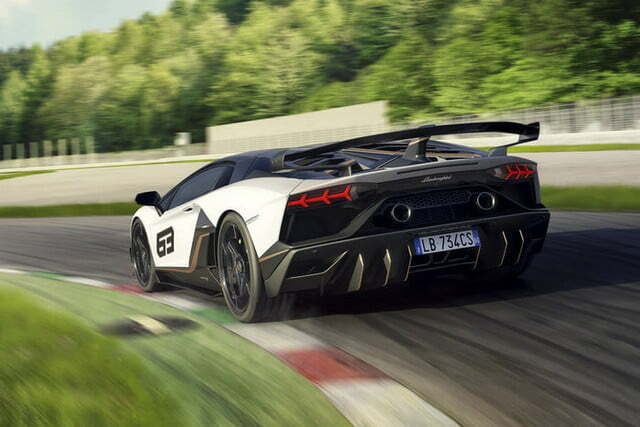 The SVJ already proved its worth by lapping Germany’s arduous Nürburgring-Nordschleife track in 6:44.97, a record for a production car. 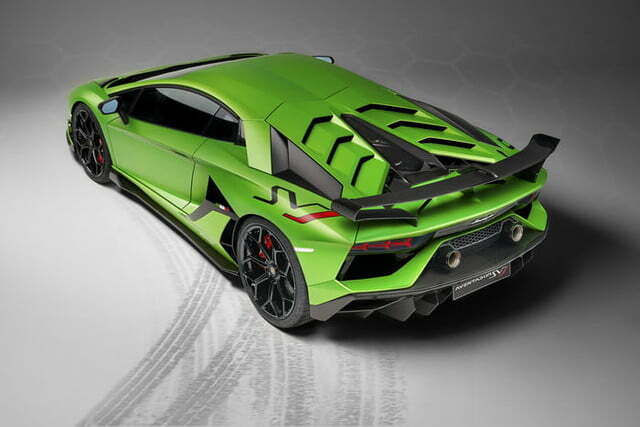 The SVJ stands out from the Aventador S with air vents cut into the front fascia, bigger air scoops chiseled into the sides, and an immense fixed wing out back. 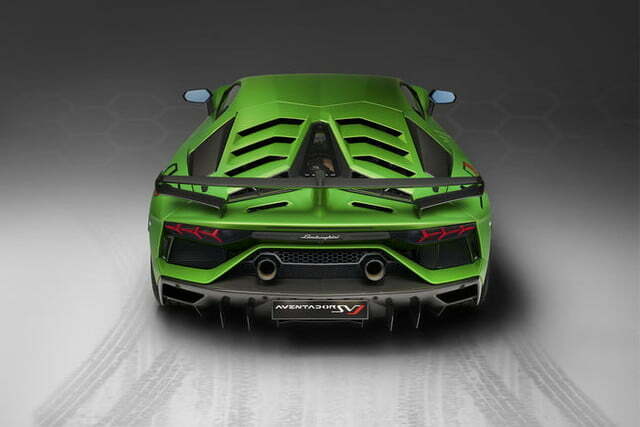 The V12 exhales through exhaust outlets mounted higher on the rear fascia, a styling cue borrowed from the world of superbikes. 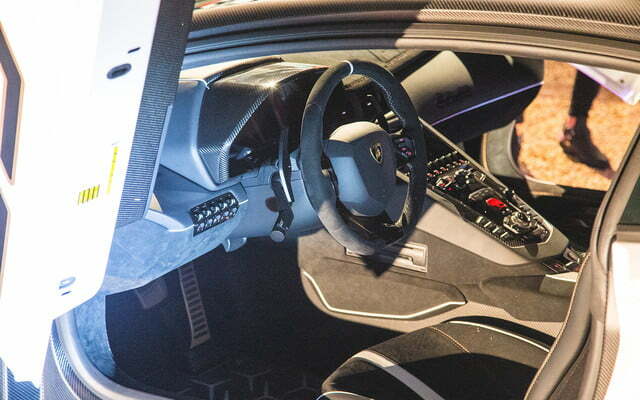 The interior remains roughly the same, meaning the driver faces a configurable screen that replaces the instrument cluster. 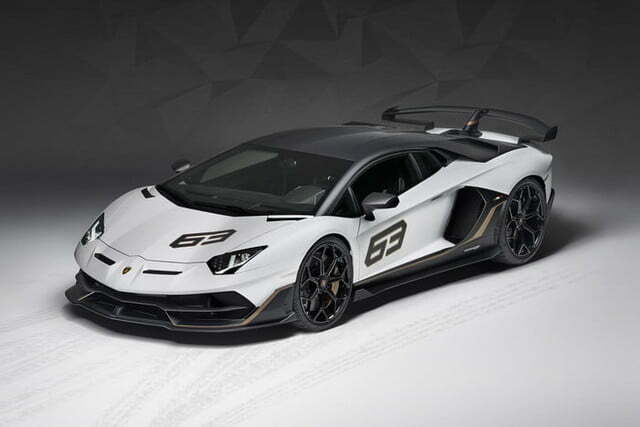 Lamborghini will build just 900 examples of the Aventador SVJ, and it’s safe to assume a good chunk of the production run has already been spoken for by collectors and loyal customers who discovered the car months before the public laid eyes on it. 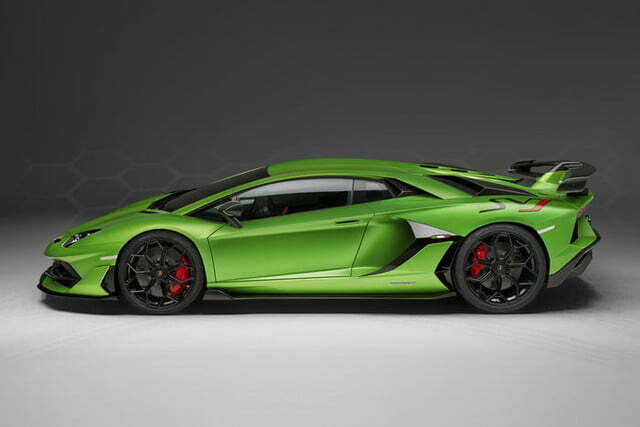 Plan on spending at least $517,770 if you want to try to get your hands on one before they’re all gone. 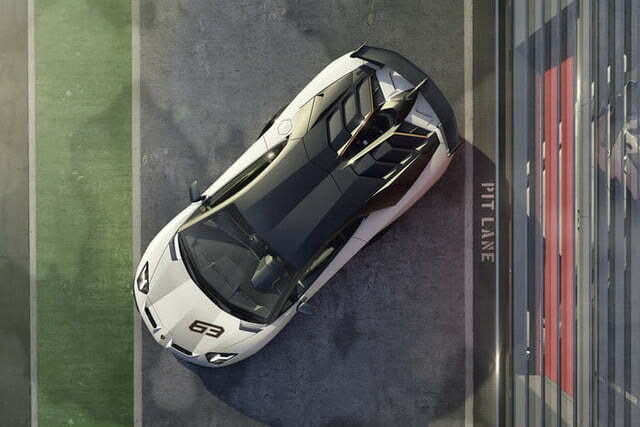 Production will take place in the firm’s historic Sant’Agata Bolognese, Italy, factory, and deliveries will begin in early 2019. 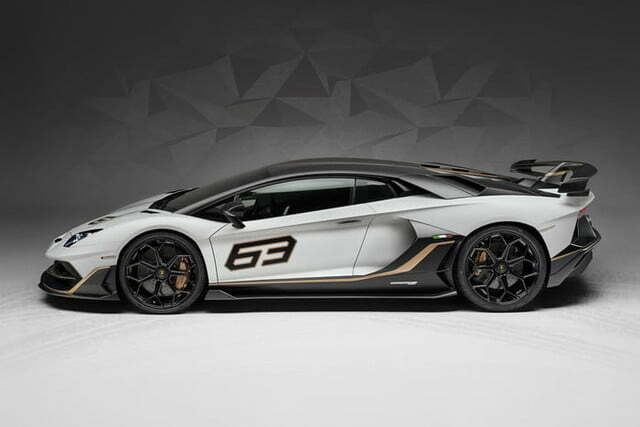 If that’s not exclusive enough, Lamborghini also announced a limited-edition model named SVJ 63 that receives additional carbon fiber parts and a specific livery. 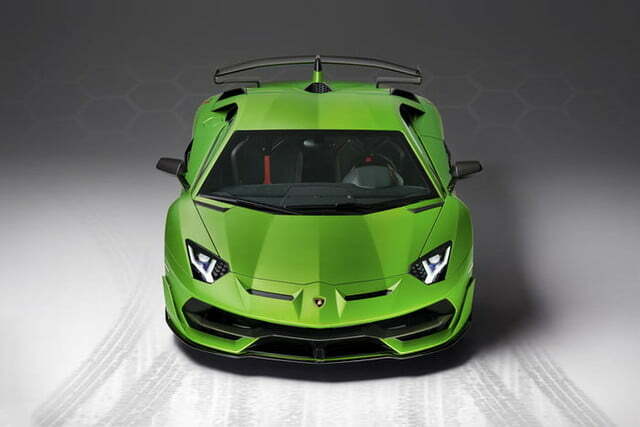 Production will be limited to — you guessed it — 63 examples, a tribute to the company’s founding year, 1963. 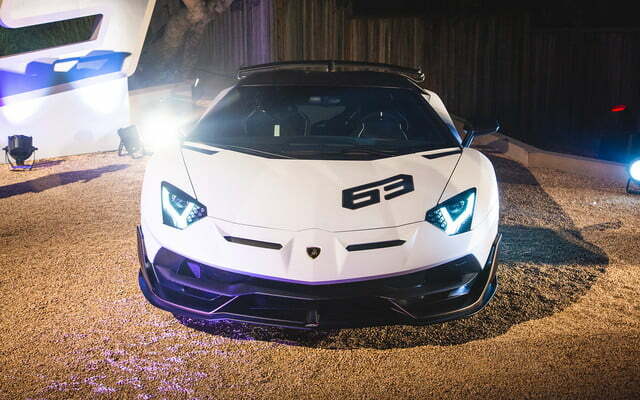 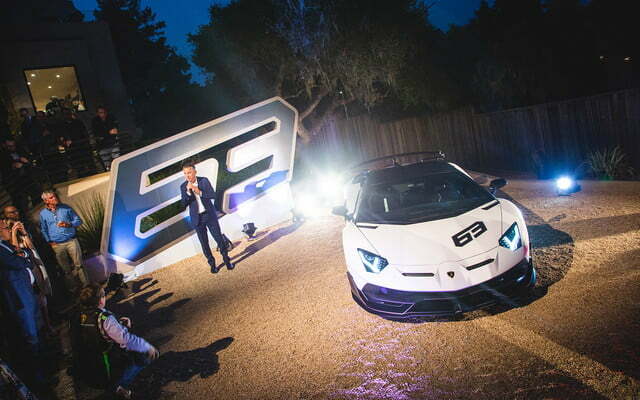 Updated on August 23: Added in-person photos from the Lamborghini reveal event in Monterey, California.